Taking a brief retrospective moment . . . In the late 1980s when I was studying Clothing & Textiles in college, I daydreamed about working in the fiber industry thinking I might end up preserving/restoring historic textiles or curating collections for the Smithsonian. Fate (reality) had different plans for me. Upon graduating, I moved to the same city as the Smithsonian, but ended up with a far different job. I worked in Fashion for a few years, then found myself overseas with my husband for nearly a decade. My career path took a very different turn for a long time after that, but I never lost my passion or affinity for working with fiber and textiles. Fast forward to 2008 (the year I turned 40), I began scaling back my work as an art director in order to recover valuable time doing what I loved most—raising my three boys and diving head-first into a new obsession with knitting. By 2010 I fully appreciated how full-circle things had come for me, combining all the skills I had assembled over the years into one complete picture of what I’m doing now. Joining the Brooklyn Tweed design team in 2012 is part of that story. 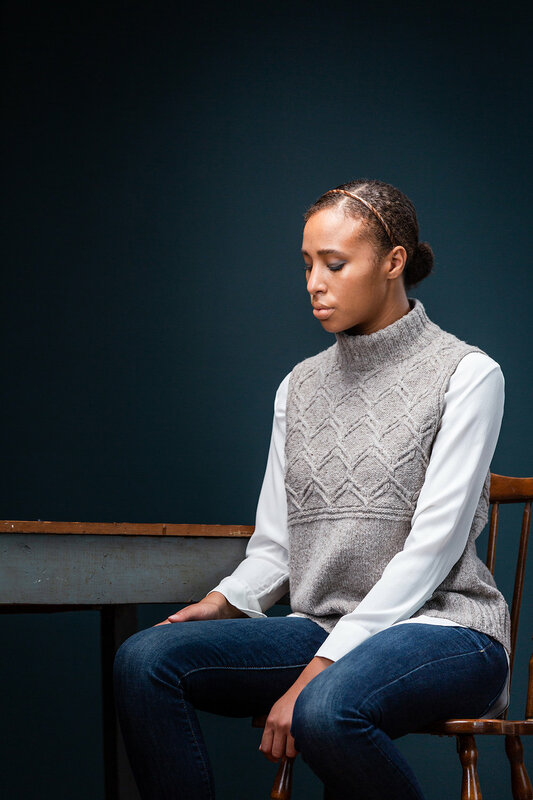 All the work, friendships, and memories shared for the nearly seven years (and 62 designs) that followed will live on as part of my knitting industry history, and I’m the better for it in so many ways. While this has been such a formative experience, I have decided to leave the design team. Decisions like this are never easy, but it reminds me that awareness is needed in all things, and as time passes things change and we continue to find ways to make them meaningful. That leads me to why you’re all here reading this in the first place—the new Winter 2019 Collection is out today with many beautiful pieces to consider adding to your queues! Marte (on the left) and Pilaster (on the right) are the final two pieces I’m contributing to the Brooklyn Tweed pattern library. 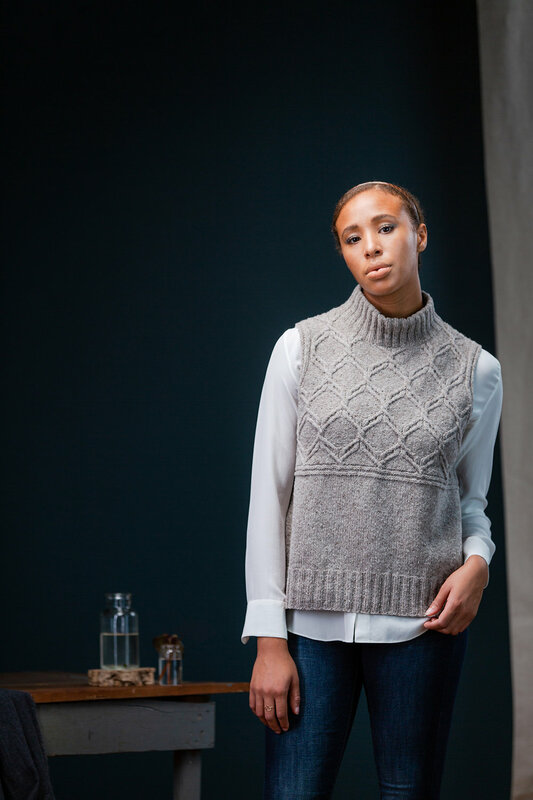 Both feature classic silhouettes and show off the Loft and Peerie yarns for what they do best. I hope you find them worthy of having a place in your own pattern collection and ultimately knitted joyfully and worn abundantly. A warm thank you to everyone on the BT Team and an especially heartfelt thank to you, knitters, for all your talent and enthusiastic support that keeps our community thriving. I have so enjoyed seeing my designs constructed from your needles, and I look forward to sharing this big world of ours with you for many more years to come.